-Watch the FULL introduction of the video tutorial for frequently asked questions and watch the full video for tips on how to make this project smaller or bigger. Sew the ends together in the back of the head. Sew the opening in the middle of the headband all the way across. See video tutorial on where exactly to sew closed. Enjoyed this project? Try the Arrows and Fringe Boho Fashion Scarf Next! June marks the official start of the summer season here in the northern hemisphere. It is the month when I get geared up to create a lot of fun-in-the-sun crochet patterns that are perfect for this time of year. Here is a pattern to launch that collection of great summer designs! My Pom Poms and Pineapples Beach Poncho will have you feeling ALL KINDS of SUMMER VIBES! Seriously, this is one of the most delightful fashion pieces I have ever designed!! With a plethora of stitches, this creative piece will make the perfect swimsuit cover-up!! Picture yourself at the pool or sinking your feet in the sandy beach, sporting this adorable cover-up over your fun and sassy swimwear!! This is the picture-perfect piece to wear anytime all season long! Made with Scrubby Smoothie Cotton by Red Heart Yarns, this project will be a sure-fire hit as you head to the water! Go from sea, sun, and sand by day, pairing this over your swimsuit, and wear it into the evening with a cute summer sundress or tank-top and capris for those summer nights! You can’t go wrong with this fabulous poncho no matter which way you wear it! I LOVE mine and you will too! This is one pattern you won’t want to miss!!! A fun tip: add a few tacking stitches under the arms to create sleeves and turn this awesome poncho into a cute summer top! Now, go grab your hooks, your fave cotton yarn (here is my latest obsession) and let’s get started! The sooner you begin, the quicker you can head to the beach! See you there! Be sure to post your photos of this wonderful project and hashtag #YARNutopia! I can’t wait to see those beach pictures! -I would recommend any cotton yarn for this project, but you can use acrylic or wool as well. 5DC Cluster: 5 Double Crochet Cluster: [YO, Insert hook, YO pull through, YO pull through 2 loops] 5 times, YO pull through all 6 loops on hook. Cluster made. Row 4: (Work in 3rd Loop of HDC sts), Ch 3 (counts as DC), DC in same first st as CH up 3 st, DC in next 3 sts, *2 DC in next st, DC in next 3 sts, repeat from * across, turn. Fasten off white, change color. For the first Half Circle, Fasten off. Round 8: You will now be working in rounds attaching the two half circles. (See video tutorial for visual instructions). (Work in 3rd Loop of HDC sts), Ch 3, DC in same first st as Ch up 3 st, DC in next 6 sts, [2 DC in next st, DC in next 6 sts], to end of row on first half circle, continue working on WS of 2nd half circle, [2DC in next st, DC in next 6 sts] to end of row on 2nd half circle, sl st to beginning ch 3 st. Yay! The neck hole is made! Turn work around & Fasten off this color. Change color. Round 9: Change color to White & attach yarn to the 3rd st from the beginning stitch. (see video tutorial for specific spot), Ch 3, DC in same st, *Ch 3, Sk 3 Sts, 2 DC in next st, repeat from * around, ending with ch 3, sl st to beg, ch 3 st. (64 sts) Do not turn. Rnd 11: Sl st to next st & into ch 2 sp, Ch 3, [DC, ch 2, 2 DC] in same sp, (Ch 1, [2DC, ch 2, 2 DC] in next ch sp) 2 times, ch 1, * [2 DC, ch 4, 2 DC] in next ch sp, (Ch 1, [2 DC, ch 2, 2 DC in next ch sp) 3 times, ch 1, repeat from * around, ending with Ch 1, sl st to beg. ch 3 st.
Rnd 14: Sl st into next st & into ch 2 sp, Ch 3, DC in same sp, *DC in next 2 sts, 3 DC in ch 2 sp, DC in next 2 sts, 2 DC in next ch 2 sp, DC in next 2 sts, 3 DC in next ch 2 sp, DC in next 2 sts, 2 DC in next ch 2 sp, Ch 2, Sk next 2 sts & ch 2 sp, [SC in next ch 1 sp, Ch 3] 5 times, SC in next ch 1 sp, Ch 2, Sk ch 2 sp & next 2 sts, 2 DC in next ch 2 sp, repeat from * around ending with SC in next ch 1 sp, ch 2, sk ch 2 sp & next 2 sts, sl st to beg. ch 3 st.
Rnd 15: Sl st into next st, Ch 3, DC in next 17 sts, *Sk last st of grouping, Ch 2, [SC in next ch 3 sp, Ch 3] 4 times, SC in next Ch 3 sp, Ch 2, Sk ch 2 sp & next DC, DC in next 18 sts, repeat from * around ending with SC in next ch 3 sp, ch 2, sk ch 2 sp & next DC, sl st to beg ch 3 st.
Rnd 16: Sl st into next st, Ch 3, DC in next 15 sts, *Sk last st of grouping, Ch 3, [SC in next ch 3 sp, Ch 3] 3 times, SC in next Ch 3 sp, Ch 3, Sk ch 2 sp & next DC, DC in next 16 sts, repeat from * around ending with SC in next ch 3 sp, ch 3, sk ch 2 sp & next DC, sl st to beg ch 3 st.
Rnd 17: Sl st into next st & into next st, Ch 3, [DC, ch 2, 2 DC] in same st, * Sk 2 sts, [2 DC, ch 2, 2 DC] in next st, Ch 4, Sk 4 sts, [2 DC, ch 2, 2 DC] in next st, Sk 2 sts, [2 DC, ch 2, 2 DC] in next st, ch 3, sk next 2 sts & ch 3 sp, [SC in next ch 3 sp, ch 3] 2 times, SC in next ch 3 sp, Ch 3, Sk ch 3 sp & next 2 sts, [2 DC, ch 2, 2 DC] in next st, repeat from * around ending with ch 3, sl st to beg. ch 3 st.
Rnd 18: Sl st into next st & into ch 2 sp, Ch 3, [DC, ch 2, 2 DC] in same sp, * Ch 3, Sk next 4 sts ch 2 sp AND next 2 sts, 9 DC in ch 4 sp, Ch 3, Sk next 2 sts ch 2 sp AND next 4 sts, [2 DC, ch 2, 2 DC] in next ch 2 sp, [Ch 3, SC in next ch 3 sp] 2 times, Ch 3, [2 DC, ch 2 2 DC] in next ch 2 sp, repeat from * around ending with ch 3, sl st to beg. ch 3 st.
Rnd 19: Sl st into next st & ch 2 sp, Ch 3, [DC, ch 2, 2 DC] in same sp, * ch 3, Sk 2 DC & Ch 3 sp, [DC in next DC, Ch 1] 8 times, DC in last DC of grouping, Ch 3, [2 DC, ch 2, 2 DC] in next ch 2 sp, Ch 3, Sk 2 sts & next ch 3 sp, SC in next ch 3 sp, ch 3, Sk ch 3 sp & next 2 sts, [2DC, ch 2, 2DC] in next ch 2 sp, repeat from * around ending with Ch 3, sl st to beg. ch 3 st.
Rnd 20: Sl st into next st & into ch 2 sp, Ch 3 [DC, ch 2, 2 DC] in same sp, * Ch 4, Sk 2 sts ch 3 sp AND next DC, [SC into next ch 1 sp, Ch 3] 7 times, SC in next ch 1 sp, Ch 4, [2DC, ch 2, 2 DC] in next ch 2 sp, Ch 3, [2 DC, ch 2, 2 DC] in next SC, Ch 3, [2 DC, ch 2, 2 DC] in next ch 2 sp, repeat from * around ending with Ch 3, sl st to beg. ch 3 st.
Rnd 21: Ch 3, DC in next st, * 2 DC in next ch 2 sp, Ch 4, [SC in next ch 3 sp, ch 3] 6 times, SC in next ch 3 sp, Ch 4, 2 DC in next ch 2 sp, DC in next 2 sts, 3 DC in next ch sp, DC in next 2 sts, 2 DC in next ch 2 sp, DC in next 2 sts, 3 DC in next ch sp, DC in next 2 sts, repeat from * around ending with 3 DC in last ch sp, sl st to beg. ch 3 st.
Rnd 22: Ch 3, DC in next 2 sts, sk next st, *Ch 5, [SC in next ch 3 sp, ch 3] 5 times, SC in next ch 3 sp, Ch 5, Sk ch 4 sp & next DC, DC in next 18 sts, repeat from * around ending with DC in last 15 sts, Sl st to 1st Ch 3 st.
Rnd 23: Ch 3, DC in next st, Sk next st, * Ch 5, [SC in next ch 3 sp, ch 3] 4 times, SC in next ch 3 sp, Ch 5, sk Ch 5 sp & next DC, DC in next 16 sts, Repeat from * around ending with DC in last 14 sts, sl st to 1st ch 3 st.
Rnd 24: Sl st into previous stitch, Ch 9 (counts as DC & Ch 6 sp), * [SC in next ch 3 sp, Ch 3] 3 times, SC in next Ch 3 sp, Ch 6, Sk ch 5 sp & next DC, DC in next 14 sts, Ch 6, repeat from * around ending with DC in last 13 sts, Sl st to 3rd ch of beg ch 9 st.
Rnd 25: Sl st into previous st, Ch 9, * [SC in next Ch 3 sp, Ch 3] 2 times, SC in next ch 3 sp, Ch 6, Sk Ch 6 sp & next DC, DC in next 12 sts, Ch 6, Repeat from * around ending with DC in last 11 sts, Sl st to 3rd ch of beg ch 9 st.
Rnd 26: Sl st into previous st, Ch 9, * SC in next Ch 3 sp, Ch 3, SC in next ch 3 sp, Ch 6, Sk Ch 6 sp & next DC, DC in next 10 sts, Ch 6, Repeat from * around ending with DC in last 9 sts, Sl st to 3rd ch of beg ch 9 st.
Rnd 27: Sl st into previous st, Ch 3, [DC, ch 2, 2 DC] in same st, * Ch 7, SC in next ch 3 sp, Ch 7, Sk ch 6 sp & next DC, [2 DC, ch 2, 2 DC] in next st, sk 2 sts, 2 DC in next st, Ch 2 2 DC in next st, Sk 2 sts, [2 DC, Ch 2, 2 DC] in next st, repeat from * around, ending with 2 DC in next st, sk last 2 sts, sl st to beg. ch 3 st.
Rnd 28: Sl st in next st & into ch 2 sp, ch 3, [DC, ch 2, 2 DC] in same sp, ch 2, *[2DC, ch 2] 4 times into ch 7 sp, [2 DC, ch 2] 4 times into next ch 7 sp, ([2 DC, ch 2, 2 DC] in next ch 2 sp, ch 2) 3 times, repeat from * around ending with Ch 2, Sl st to beg. ch 3 st. Fasten off this color and change color for the next round. Attach white to first ch 2 sp after the fasten off. Rnd 29: In ch 2 sp, Ch up 3, [DC, ch 2, 2 DC] in same sp, *Ch 3, sk ch sp, [2 DC, ch 2, 2 DC] in next ch 2 sp, repeat from * around, ending with Ch 3, Sk last ch 2 sp, Sl st to 1st ch 3 st.
Rnd 30: Sl st into next st & into ch 2 sp, Ch 3, [DC, ch 2, 2 DC] in same sp, *Ch 3, Sk ch 3 sp, [2 DC, ch 2, 2 DC] in next ch 2 sp, repeat from * around, ending with Ch 3, Sk ch 3 sp, Sl st to beg. ch 3 st.
Rnd 31: Sl st into next st & into ch 2 sp, Ch 3, [DC, ch 2, 2 DC] in same sp, *Ch 4, Sk ch 3 sp, [2 DC, ch 2, 2 DC] in next ch 2 sp, repeat from * around, ending with Ch 4, Sk ch 3 sp, Sl st to beg. ch 3 st.
Rnd 32: Sl st into next st & into ch 2 sp, Ch 3, [DC, ch 2, 2 DC] in same sp, *Ch 2, [2 DC, ch 2, 2 DC] in next ch 4 sp, ch 2, [2 DC, ch 2, 2 DC] in next ch 2 sp, repeat from * around, ending with Ch 2, Sl st to beg. ch 3 st.
Rnd 33: Sl st into next st & into ch 2 sp, Ch 3, [DC, ch 2, 2 DC] in same sp, *Ch 2, Sk ch 2 sp, [2 DC, ch 2, 2 DC] in next ch 2 sp, repeat from * around, ending with Ch 2, Sk ch 2 sp, Sl st to beg. ch 3 st.
Rnd 34: Sl st into next st & into ch 2 sp, Ch 3, [DC, ch 2, 2 DC] in same sp, *Ch 3, Sk ch 2 sp, [2 DC, ch 2, 2 DC] in next ch 2 sp, repeat from * around, ending with Ch 3, Sl st to beg. ch 3 st.
Rnd 35: Ch 3, [DC, ch 2, 2 DC] in same sp, *Ch 3, Sk Ch 3 sp, [2 DC, ch 2, 2 DC] in next ch 2 sp, repeat from * around, ending with Ch 3, Sl st to beg. ch 3 st.
Rnd 36: Sl st into next st & into ch 2 sp, Ch 3, [DC, ch 2, 2 DC] in same sp, *Ch 3, Sk ch 3 sp, [2 DC, ch 2, 2 DC] in next ch 2 sp, repeat from * around, ending with Ch 3, Sl st to beg. ch 3 st. Attach White to first ch 2 sp after fasten off. Rnd 37: Ch 3, [DC, ch 2, 2 DC] in same sp, * Ch 3, Sk ch 3 sp, [2 DC, ch 2, 2 DC] in next ch 2 sp, repeat from * around, ending with Ch 3, Sl st to beg. ch 3 st.
Rnd 38: Ch 3, DC in next st, *2 DC in ch 2 sp, DC in next 2 sts, 3 DC in ch 3 sp, DC in next 2 sts, repeat from * around, sl st to beg. ch 3 st. Attach Brite Pink in first st of last round. Rnd 39: *Ch 6, 5 DC cluster in 3rd ch from hook, Ch 3, 5 DC cluster in 3rd ch from hook, Ch 3, Sk 4 sts, Sl st in next st, repeat from * around, sl st to beg ch. Single Crochet Around the neckline with Brite Pink. So many little girls love to play dress up or pretend to be their favorite Disney Princess. I was no exception, and that spirit was something I never grew out of. I love Disney movies and the characters they embody. My Enchanted Rose Cape was inspired by one of my favorites. Fashioned after a scene from Beauty and the Beast, I created this caplet/cape combination piece to add to a costume that I am in the process of creating. As I was creating this piece, I saw the potential for so many possibilities that could come out of this one fashion item. Changing the color to ivory, or even a sparkly white yarn, this would make a lovely winter bridal cape. In fact, just changing the color to match something in your wardrobe would make this a perfect piece for a formal cover-up. It could be an everyday poncho/cape in tones of grays or warm browns. This could also be transformed into other costume capes for characters such as Red Riding Hood, Rose Red, or any other fairy-tale or medieval character. The possibilities in color choices are endless, and the ideas know no bounds. Have fun with it!! It doesn’t stop there. If you prefer to not include the longer cape, this would make a cute little caplet, or remove the hood and it makes a nice poncho. Adjust the size and you can change the whole look! With this easy repeat pattern and stitch, anything is possible! Enjoy this pattern and share your photos on the Facebook page when you finish!! Make the full costume by clicking here or clicking this photo below. -You can use a smaller or larger hook to make this square depending on your tension. -This pattern is in multiples of 3, so you can make this as big or small as you want. -Just continue the repeat pattern until your piece is as big or as wide as you want it to be to go onto the next step if you feel like I stopped too soon in the video tutorial. This pattern is very versatile and you can make this as big as you want. -This piece works the poncho first, then the cape, then the hood last. -The hood is made separately and then sewn onto the cape. -For measurements and to learn how big mine turned out to be, watch the beginning of the video tutorial. -This took me about 15 hours to complete from beginning to end. Ch 90 (or any multiple of 3). Sl st to 1st ch to form a large ring. Rnd 3: Ch 1, [sc, ch 2, sc] in same st, *sk 2 sts, [sc, ch 2, sc] in next st, repeat from * around, ending with sk last st and beg. ch up 3, sl st to 1st sc and sl st into ch sp. At this point, put a stitch marker at the beginning and halfway point of your work (see video tutorial for visual instructions). Rnd 4: ch 3, 5 DC in same sp, put 3 DC in each ch sp until you get to the halfway point, put 6 DC in the halfway point ch 2 sp, then put 3DC in each of the ch sps until the end of the round. Rnd 28: Ch 3, 2 DC in same sp, put 3 DC in each ch 2 sp around, sl st to beg. ch up 3 and into next st.
Rnd 29: Ch 1, [sc, ch 2, sc] in same st, *sk 2 sts, [sc, ch 2, sc] in next st, repeat from * around, ending with sk last st and beg. ch up 3, sl st to 1st sc and sl st into ch sp. Rnd 30: Ch 3, 2 DC in same sp, put 3 DC in each ch 2 sp around, sl st to beg. ch up 3. Rnd 31: Ch 1. Sc in each st around. Sl st to beg. sc, fasten off. Weave in ends. **Row 1 of the cape is worked on the inside of the poncho in round 29. Row 2: Sl st into ch 2 sp, Ch up 3, 2DC in same sp, 3 DC in each ch 2 sp across, ch 1, turn. Row 3: Sl st into middle st of 3dc grouping, ch 1, [sc, ch 2, sc] in same st, * sk 2 sts, [sc, ch 2, sc] in next st, repeat from * across skip last st, ch 1, turn. Row 4: Sl st into ch 2 sp, ch 3, 5DC in same sp, 3DC in each ch sp until the last sp, 6 DC in last ch sp, ch 1, turn. Row 5: Sl st into 2nd st of 6 dc grouping, ch 1, [sc, ch 2, sc] in same st, sk 2 sts, [sc, ch 2, sc in next st, repeat from * across, sk last st, ch 1 turn. Row 6: sl st into ch 2 sp, ch 3, 2 DC in same sp, 3 dc in each ch 2 sp across, ch 1, turn. Rows 7-38: Repeat Rows 3-6 as many times as you want to make your cape as long and wide as you want it to be. (I ended on row 38) Be sure to end on a repeat of row 5. Rows 39-40: Ch 1, turn, sc in each st across. The hood is made separately and then sewn onto neck part of poncho. See video tutorial for specifics on how to sew this to the cape. Row 1: (1 SC, CH 2, 1 SC) in 3rd ch from hook, *Sk next 2 ch, (1 sc, ch 2, 1 sc) in next ch, repeat from * across, end with 1 HDC in the last ch, turn. Row 2: Ch 3 (Counts as DC), *3 DC in next ch-2 space. Repeat from * across, end with 1 DC in top of turning ch, turn. Row 3: Ch 2 (Counts as HDC), * (1 sc, ch 2, 1 sc) in 2nd dc of next 3DC grouping, repeat from * across, end with 1 HDC in top of turning ch, turn. Rows 4-22: Repeat Rows 2 and 3 until your hood is as wide as you want it to be. (End on an even row (aka a repeat of row 2). Sl st fur around hood, around bottom of poncho, and around the bottom of the cape. Weave in all your ends, and enjoy your cape! Like this cape? Try the Kitty Cat Poncho! Designer, Rosetta Getty, created The Granny Square Mixed Media Cardigan. Fashion model, Gigi Hadid, was photographed by paparazzi wearing that sweater, and it exploded all over the Internet. Being the fashion maven that I am, I had to have it! So, I designed my very own! My G.G. (Gorgeous Gal) Cardigan was an intense work of creative fashion art. I designed it based off the photo. Here I am modeling my version next to the photo of Gigi Hadid wearing hers. -This pattern is in American crochet terms. 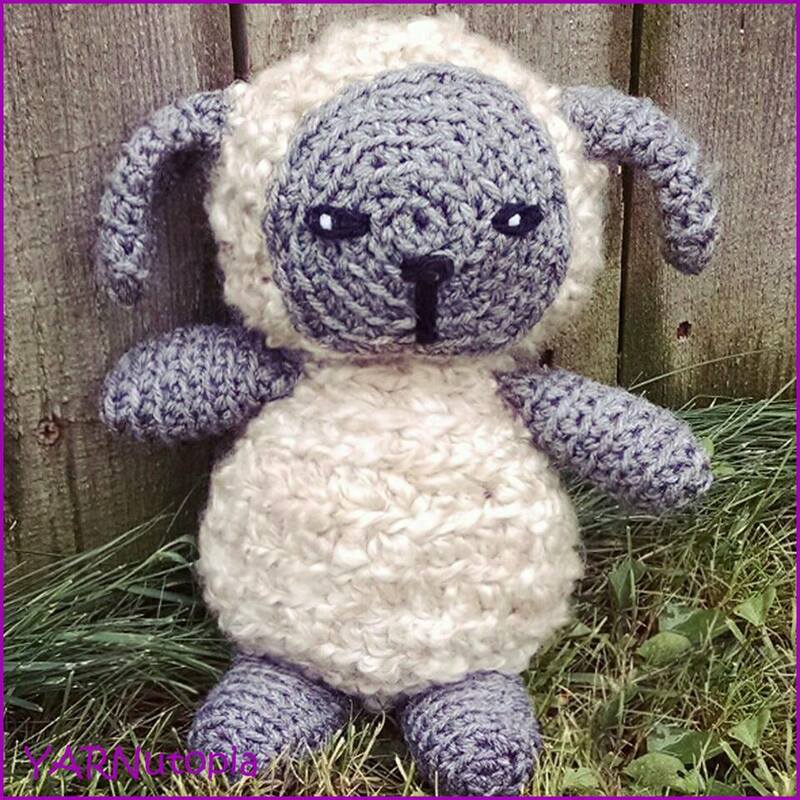 –Recommendation: I would use softer yarn for this project (Caron Simply Soft or Lion Brand Vanna’s Choice). The yarn I used was quite stiff and bulky. My recommendations for larger sizes would be to use a larger crochet hook as well as making more rounds on your granny squares. Working a repeat of round 6 once or twice should make your squares larger. You may also make this longer by adding more squares to the length of your cardigan. Another suggestion would be to add additional rounds around each panel when you single crochet around each piece to give it a larger size/width to accommodate your size. To determine the fit of the upper arm: You will have to take your upper arm measurement and make sure your squares are made accordingly. ALL SQUARES HAVE TO BE THE SAME SIZE IN THIS ENTIRE PROJECT. Beginning Cluster (Beg. Cluster): Yarn over, insert hook into stitch, YO, pull through, YO, pull through 2 loops, YO insert hook back into the stitch, YO, pull through, YO, pull through 2 loops, (You should have 3 loops on your hook), YO and pull through all loops. Cluster Stitch (Cluster): YO, insert hook into st, YO, pull through, YO, pull through 2 loops, YO, insert hook back into st, YO, pull through, YO, pull through 2 loops, YO, insert hook back into st, YO, pull through, YO, pull through 2 loops (you should have 4 loops on your hook), YO and pull through all 4 loops. Make 60 for the Cardigan and 12 for the scarf. Rnd 1: Ch 4, 11 dc in 4th ch from hook, sl st to beginning ch. (12) Fasten off. Rnd 2: In any DC around, attach new color & Ch 3, Beg. Cluster in first st, ch 1, *Cluster in next st, ch 1, repeat from * around. Sl st to Beg. Cluster. (12 clusters made, 12 ch 1 sps made) Fasten off. Rnd 3: Attach new color in any ch 1 sp of round 2. Ch 3, Beg. Cluster in same space, ch 2, *Cluster in next ch 1 sp, CH 2, Repeat from * around. (12 clusters & 12 Ch 2 sps) Fasten off. Rnd 4: Attach new color in any ch 2 sp of round 3. Ch 3, Beg. Cluster in same space, *Ch 3, Cluster in next ch 2 sp, ch 2, Cluster in next sp, ch 2, Cluster in next sp, repeat from * 2 more times, ending with ch 3, cluster, ch 2 cluster, ch 2, sl st to Beg. Cluster. Fasten off. Rnd 5: Attach new color to any ch 3 corner sp. Ch 4 (counts as first TR), [2TR, ch 2, 3 TR] in same sp. *Ch 1, 3DC in next ch 2 sp, ch 1, 3DC in next ch 2 sp, Ch 1, [3TR, CH2, 3TR] in next ch 3 sp, Repeat from * 2 times, ending with Ch 1, 3DC in next ch 2 sp, Ch 1, 3DC in next ch 2 sp, ch 1, sl st to beginning ch4. Fasten off. Rnd 6: Attach new color to any ch 2 corner sp. CH 2 (counts as first HDC), [2HDC, ch 2, 3HDC] in same sp. *Ch 1, 3HDC in next ch 1 sp, ch 1, 3 HDC in next ch 1 sp, ch 1, 3 HDC in next ch 1 sp, [3HDC, ch 2, 3HDC] in corner. Repeat from * 2 more times, ending with, ch 1, 3 HDC in next ch 1 sp, ch 1, 3 HDC in next ch 1 sp, ch 1, 3 HDC in next ch 1 sp, ch 1, sl st to beginning HDC. If you need to make this bigger, just repeat round 6 once or twice by putting 3 HDC in each of the ch 1 sps, and [3HDC, ch 2, 3 HDC] in the corners. When you have all 60 squares finished, Sew them together using the video tutorial and photo diagram as a visual instruction. Here is the front view diagram that I drew up. The numbers in each square indicate the square number. Here is the Back View of the Cardigan diagram that I drew up. Once your 2 front panels and your back panel are all sewn together, single crochet around all 3 pieces and then sew the 3 pieces together, following along with the video tutorial. Once all your pieces are attached, follow along to make the cuffs and the collar. Round 1: Start at Seam SC2TOG, SC until next seam, SC2TOG, Sc in the rest of the sts around. Sl st to beg. ch 1. Round 2: SC2TOG, SC until next seam, SC2TOG, Sc in the rest of the sts around. Sl st to beg. ch 1. Round 3 & 4: Repeat Round 2. Round 5: *SC2TOG, SC in next, Repeat from * around. Sl st to beginning. Fasten off. Row 1-3: Starting at one end, HDC across, putting a HDC2TOG in the corners, ch 1, turn. You may make more rows if you want a wider/taller collar. Fold it over and sew it down in the corners. Starting on the right side bottom. SC up first square side until you get to the seam between the squares, ch 3, sk 3 sts, *sc along the side of the next square until you get to the seam between the squares, ch 3, sk 3 sts, repeat from * up to the top (6 button holes made). Fasten off. Sew them together and add fringe on each side. In keeping with the accessories I have been making this week, I created this vintage inspired crochet lace collar. Add a bit of dimension and flair to a plain sweater or top with this elegant scalloped design that is reminiscent of days gone by, yet it is brought to life in contemporary fashion. I paired it with a jewel brooch for an extra vintage touch because that’s how I roll! Have fun with it! Lace collars have a long history in fashion. I always enjoy finding something vintage and putting a new modern spin on it, yet keeping the historic essence of the piece. -You may use any size thread and any size hook to make this. Just know that it will turn out larger or smaller around the neck. Row 3: Turn, Sl st in first dc, * (SC, HDC, 6DC, HDC, SC) in next ch6 sp, sl st in next DC, repeat from * across. Row 4: Ch 10 (Counts as 1st DC plus Ch 7), turn; sk 1st scallop, DC in next sl st, (CH 7, sk next scallop, DC in next sl st) across. Row 5: Turn; sl st in 1st DC, * (SC, HDC, 7DC, HDC, SC) in next ch 7 sp, sl st in next dc, repeat from * across. Row 6: Ch 11 (Counts as 1st DC plus CH 8), turn; DC in next sl st, (CH 8, DC in next sl st) across. Row 7: Turn; sl st in 1st DC, * (SC, HDC, 8DC, HDC, SC) in next ch 8 sp, sl st in next dc, repeat from * across.